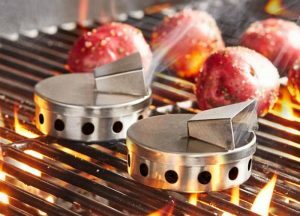 Grilla Grills has come up with a mixer-shaped wood pellet grill, which is an upright smoker for barbecue enthusiasts. The 448-square inches of cooking space offers them enough area to prepare any type of food they want. Its dual-level cooking chamber and digital thermometer work with an inbuilt motor to enable wood pellets to heat the element. 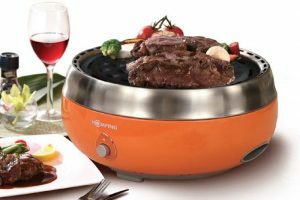 It further ensures even and consistent heat throughout the cooking surface. 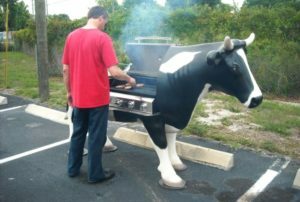 Standing upright, this BBQ grill has a one-of-a-kind footprint. It has solid steel construction and a 20 lb pellet hopper. There is also a fast release/dump drawer and stainless steel shelves for managing the food while cooking. The internal half shelf can be used to fit a full rack of ribs. Even the temperature control is straight forward, as it measures everything reliably while working simultaneously pellets’ load. 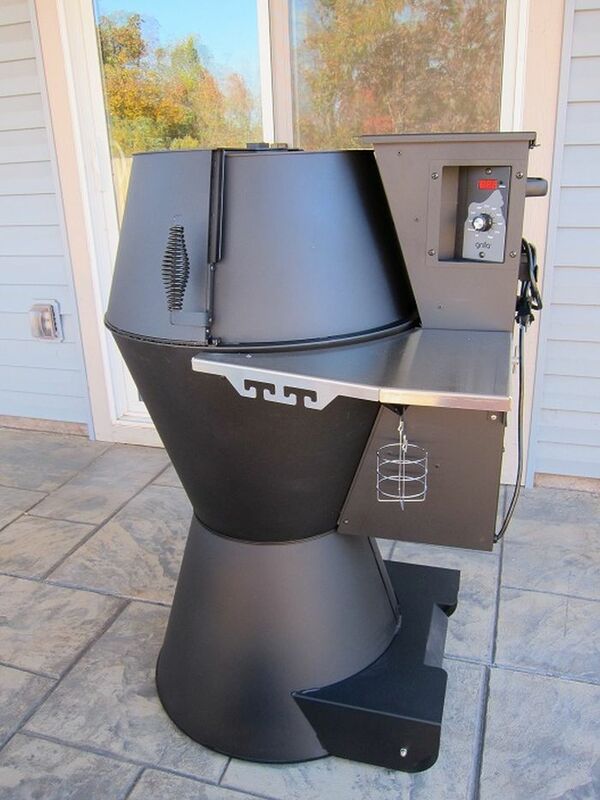 It has an easy assembly, all you need to do is remove its protective packing, install shelves, load the 20 lb hopper with wood pellets, plug in the device, and begin the cooking process. 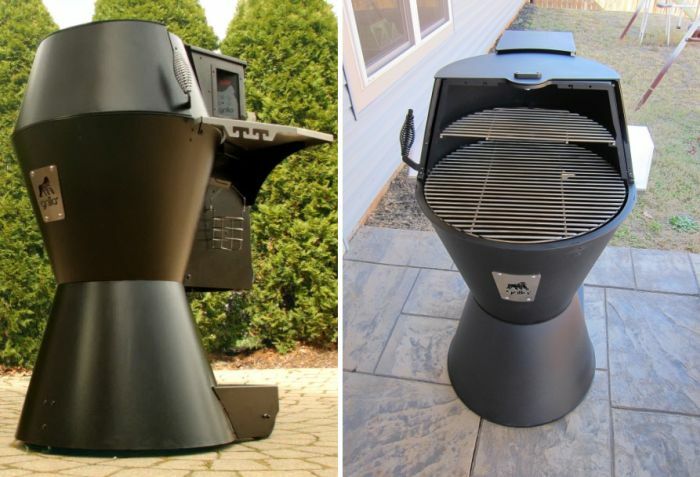 Like R2D2, this grilling unit has wheels – two in the rear and one in back. This means it’s easy to relocate whether you are preparing a meal in your house’s patio or backyard, or some outdoor location in the woods. It’s compact size also makes it easy to transport to any desired place you want. 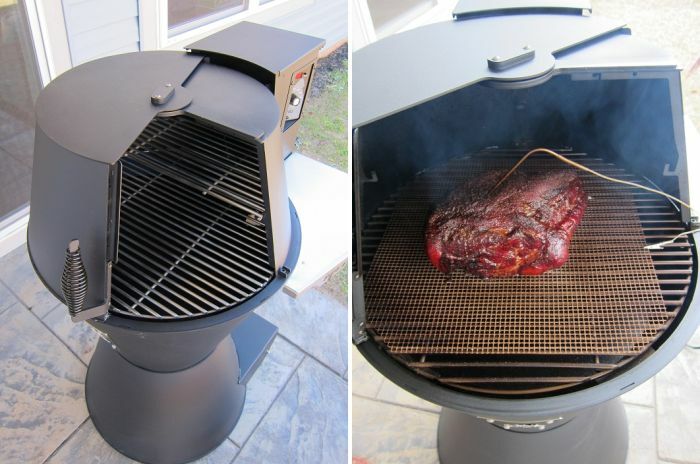 One downside of this smoker is that it puts out smoke when you’re cooking something in low flame. 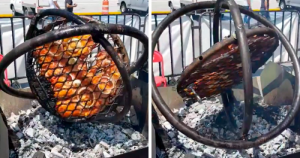 It would appear as if the food is burning inside, however, it’s cooking everything fine. 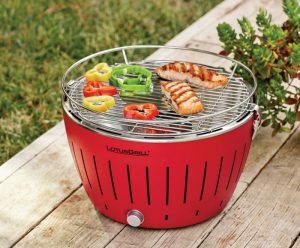 Due to the smoke factor, it’s best to use this grill unit only outside your house, especially when you live in a small condo. 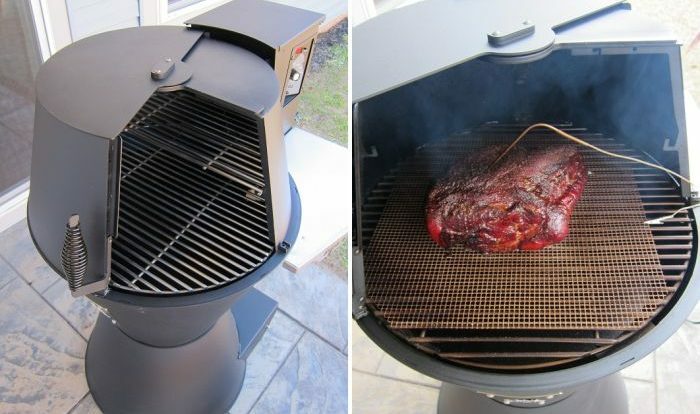 The grill could have more racks for adjusting more ribs or one large turkey. Nonetheless, the grill does a pretty good job, despite minor cons. If you want to purchase the Grilla wood pellet grill, you can grab it from the official website for $799.